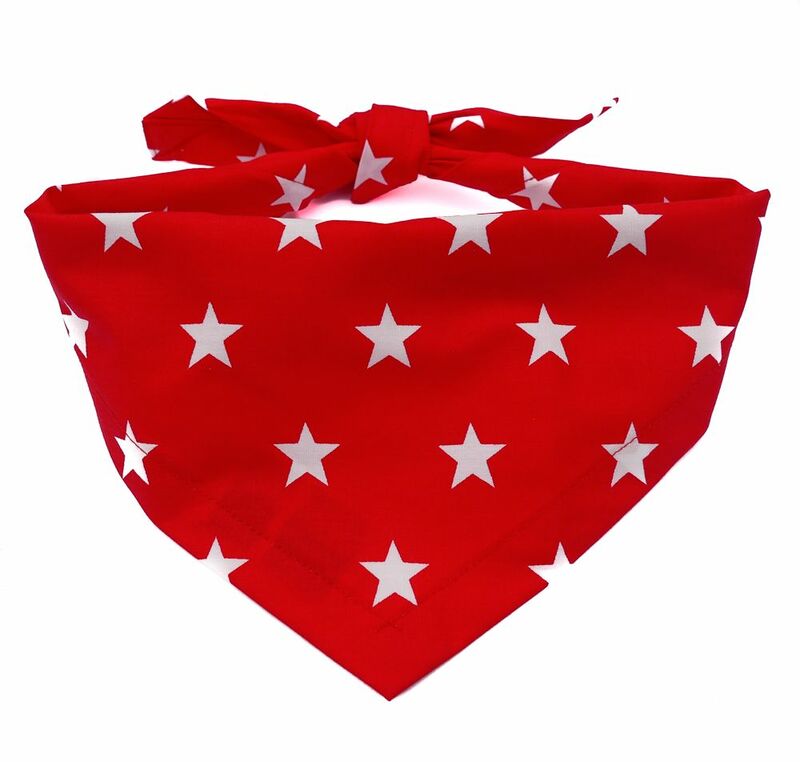 Our Superstar dog bandanas are always best sellers here at Dudiedog, and this lovely bright red one is a great choice for any dog! 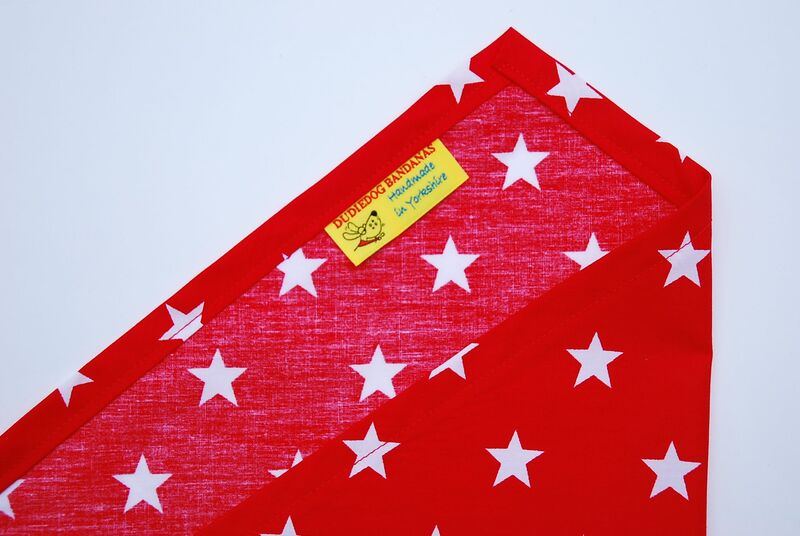 A lovely Bright Red Superstar dog bandana, this is one of our most popular designs, and suits all dogs. 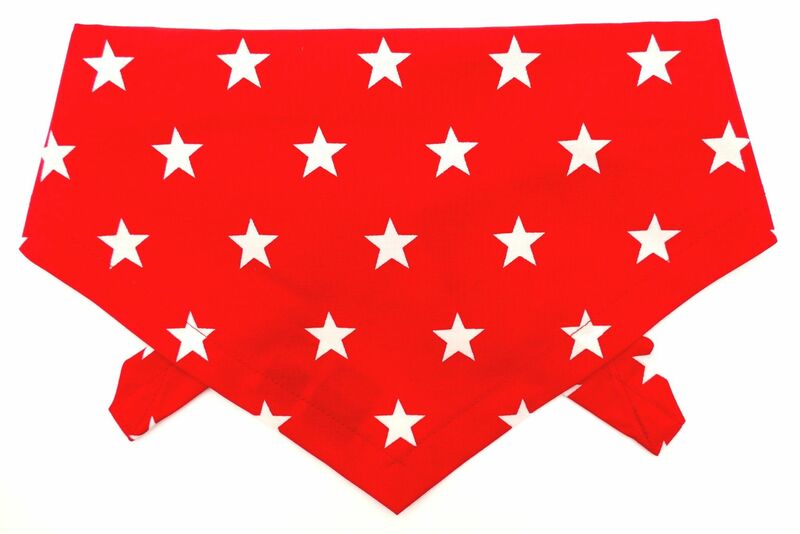 The background is red, with a design of white stars...a perfect bandana to show your dog how special he/she is! Superstar bandanas make lovely gifts!